Chromebooks are in their prime, with just about every major laptop manufacturer making their own version of these inexpensive, ultraportable laptops running Google Chrome OS. Chromebooks are great for travelers, students, and anyone else who gets work done mainly in the browser — just ask any of the 25 million Chrome OS users. However, they have their downsides as well. Here's what you need to know if you want to use one as your primary work computer. 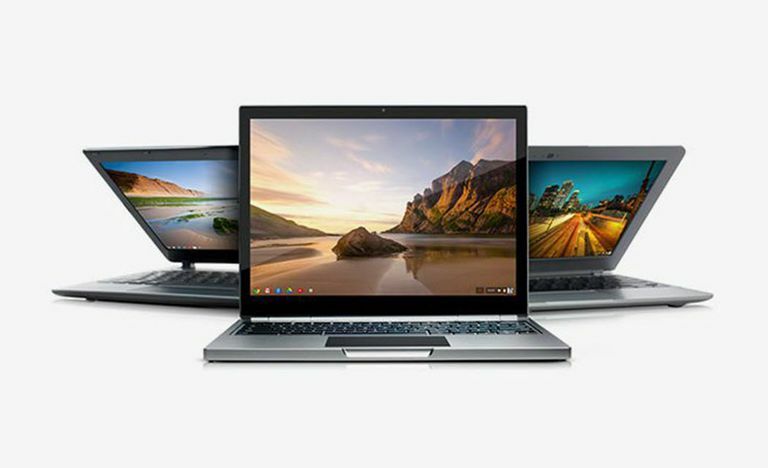 Chromebooks made a huge impact in 2014 when several new Chromebook models were introduced by major laptop manufacturers, and Chromebooks beat out other computers on Amazon's three top-selling laptops for the holiday season. Chromebooks were already popular. There's the low price, and with specials like two free years' of additional Google Drive access, Chromebooks suddenly became attractive impulse buys. Even without the special offers, though, the features and capabilities of Chromebooks make them a good laptop deal, depending on how you plan on using one. Portability: Most Chromebooks, such as the HP Chromebook 11 and the Acer C720, have 11.6-inch displays, although a few others offer more screen real estate up to 14 inches. With thin profiles, you have a light and compact laptop that won't weigh down your backpack or carry-on bag. Long battery life: Chromebooks have battery lives of at least eight hours. Powered up the ASUS Chromebook for a weeklong trip but forgot the power adapter? It's still good for intermittent use over the week if you leave it in sleep mode when it's not in use. You'll return home with hours of battery life left by the end of the trip. Instant startup: Chromebooks are get up and running in seconds and shut down just as fast. This is a bigger time-saver than you might imagine when you're running from meeting to meeting or need to quickly get to a file for a last-minute, presentation edit. Dismal displays: The Toshiba Chromebook 2 (13.3-inch, 1920x1080 display) and the Chromebook Pixel (13-inch, 2560x1700 display) are the two Chromebooks with the sharpest displays. The ASUS Chromebook and others like it have an HD display, but the resolution is only 1366 by 768 pixels. The difference is notable and disappointing if you're used to full HD displays or want to fit more on that small screen. Keyboard Issues: Ultraportable laptops come with a unique take on the keyboard, but the Chromebook also has a special layout with a dedicated search key instead of a caps lock key and a new row of shortcut keys to navigate your browser and maximize browser windows. It takes a bit of getting used to, and you may miss your old Windows shortcuts, which include keys no longer available like the Home button and PrtScn key. Chromebooks have their own shortcuts to get things done more quickly. Using peripherals and special software: Chromebooks support SD cards and USB drives. To connect a printer, you use the Google Cloud Print service. You cannot watch movies from an external DVD drive. Everything needs to be online such as Netflix or Google Play for movie streaming. How much work can you do in just the Chrome browser? That's a pretty good gauge for whether a Chromebook could be your main laptop. If your work requires you to use software for which there is no internet equivalent, Chromebooks won't work for you. For the best Chromebook accessories check out the 8 Best Gifts for Chromebook Users in 2018.